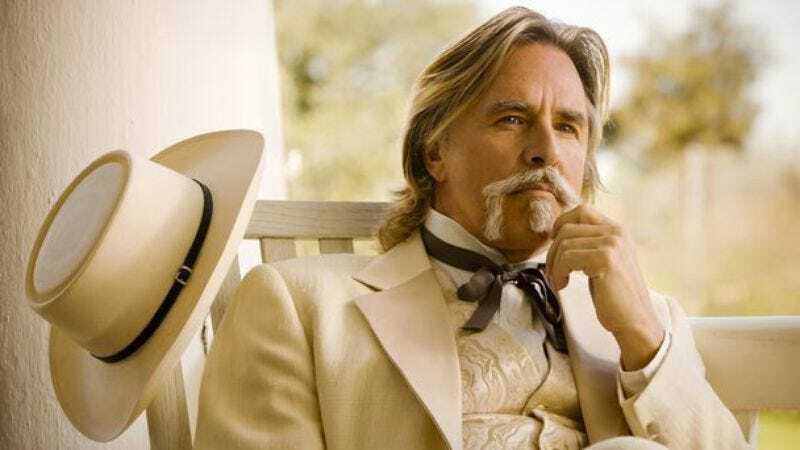 As reported by Deadline, pastel-colored suit spokesman Don Johnson has signed on to star in Boom, an ABC drama pilot about the discovery of oil in North Dakota. This discovery kicks off “a geopolitical shift and an economic boom in North Dakota,” the likes of which haven’t been seen “since the 1849 California Gold Rush.” The difference this time, though, is that instead of everyone packing up their families and moving to California—a paradise to live in or see—they’re going to North Dakota, which is the third most-famous Dakota after South Dakota and Don Johnson’s daughter. Johnson, following in the great tradition of tough-named characters like Nash Bridges and James Crockett, will be playing a guy named Hap Boyd. Deadline says Hap Boyd is a “tough, mega alpha male oil tycoon, an oilfield legend,” because, obviously, you can’t be anything else if your name is Hap Boyd. Also, the appearance of a “tough, mega alpha male oil tycoon” makes Boom sound even more like Dallas than it already does, which is quite a feat. Maybe in a few years, ABC will have us all hyped on trying to figure out who shot Hap Boyd?